A new brand concept experiment embraces the beauty of natural elements in perfume package design. Created by Igor Mitin from GOOD, a PR and design agency from Kazakhstan, the Zen perfume containers combine the transparency of glass with the visual appeal of natural shapes. 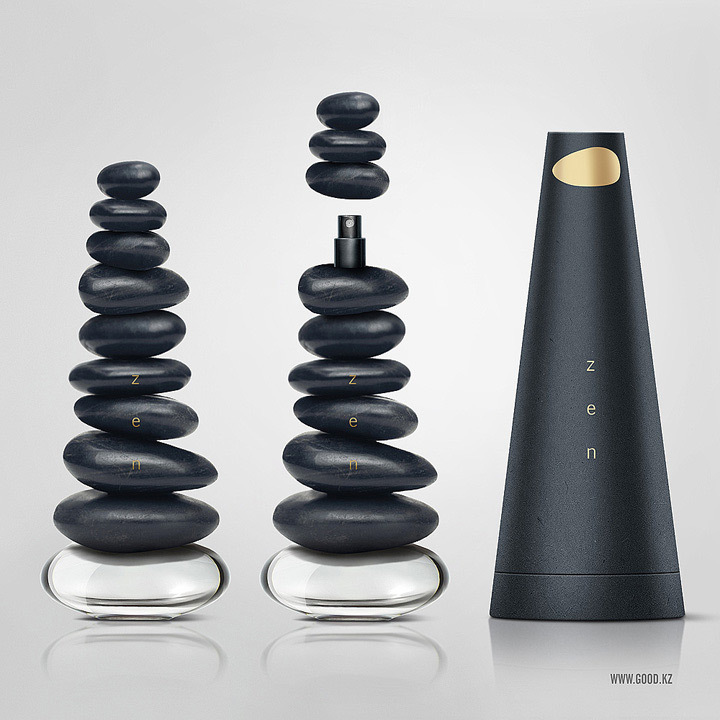 The Zen brand concept is consistent with the character of the fragrances. Subtle and delicate, the scents induce a state of calm, tranquility and relaxation. 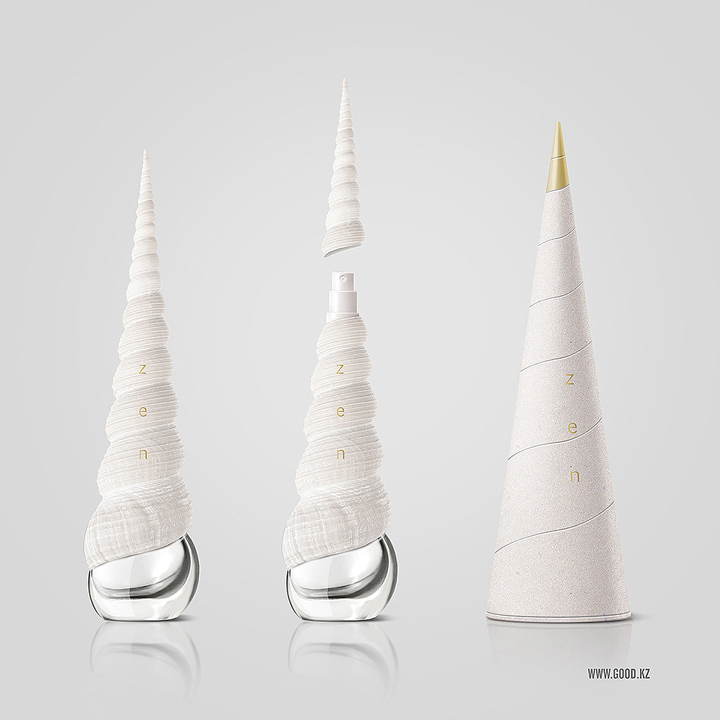 Reminiscent of spa interiors with their natural accent elements, the bottles turn to shells, stones and bamboo stalks to capture the essence of the fragrance and to create the right response in the consumer. There are three types of containers, each of a different shape. 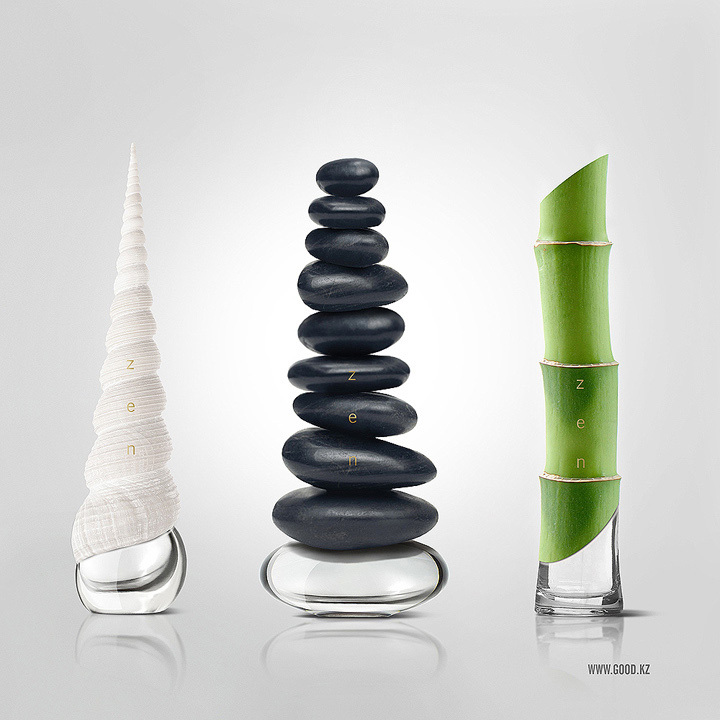 Each shape combines with a natural element embraced by the lines or curves of the container. The shell, stones or bamboo exteriors make up most of the body, for maximum visual impact. This smooth flow from human-made to natural creates a pleasant contrast and a clean look. The fact that the glass takes second place to the natural element has a subtle effect at a perception level. Consumers who are looking for all-natural products or products that evoke the harmony and tranquility of nature are instinctively attracted to the packaging of these perfumes. It is a simple design, with no artificial embellishments. 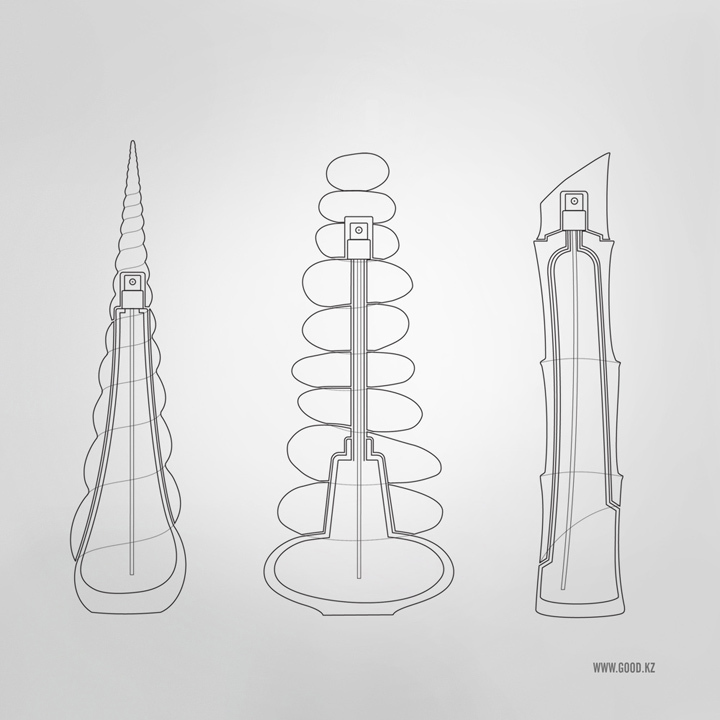 The construction of each perfume bottle lets nature speak and reduces the extraneous elements to a minimum. Simple designs are highly recognizable, so simplicity in a brand concept is a good idea. 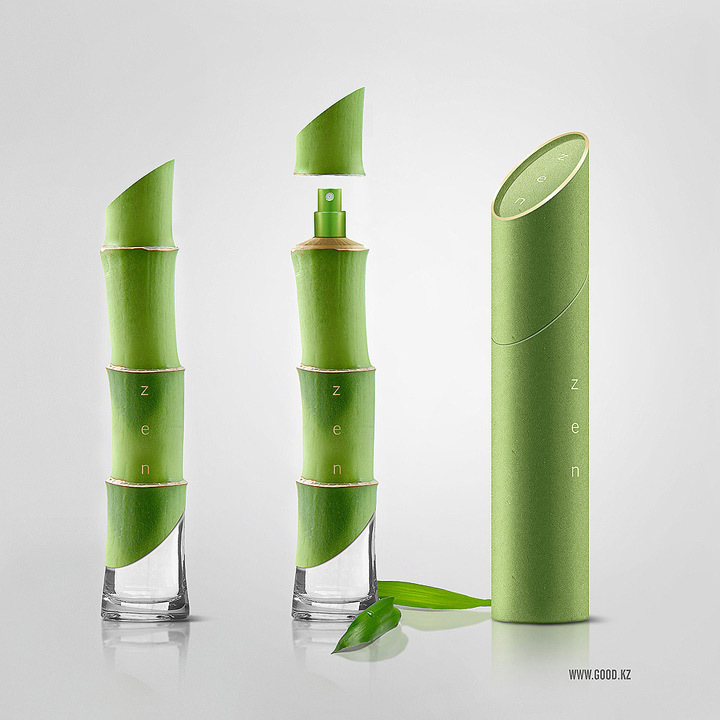 Finally, the glass containers sit in packages that simplify the natural element down to a geometrical shape. The color of the shell, stone or bamboo is transferred to the exterior package, where just a touch of gold creates a subtle idea of luxury.